So it’s been some time since my last blog post, but you’ll be happy to know that I just finalized the third chapter on my upcoming book – more on that later! What I want to briefly discuss is why design methods can be an awesome and innovative approach for student leadership. Design can provide you with new tools that will help you to uncover latent opportunities and perspectives with your leadership students. But what are these so-called “design methods”? Divergence - Exploring possibilities and constraints. Transformation - Redefining conditions, which can lead to better guidelines to improve a design (in this case, a leadership activity/experience). Convergence - Prototyping possible scenarios for better solutions that improve the originally inherited situation. Sustainability - Continuously reflect on your design process. Articulation - The visual relationship between the parts and the whole of your design - your final product. While at first design methods can sound like a complex and daunting approach to student leadership, many activity coordinators, student leaders and other teachers, are already engaging in similar processes. My goal is to make design methods more engaging, fun and relevant to student leadership. 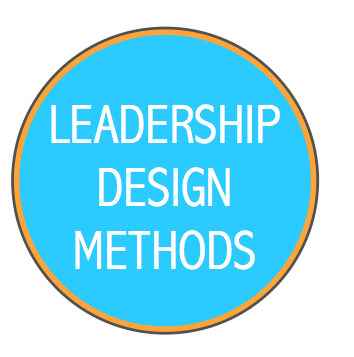 So on my next blog posts I will share with you some cool ways implement design methods to student leadership activities.